Fig. 2. Measurement of postural sway and muscle activation. (A) Romberg test position with eye closed. (B) Romberg test position with eye opened. (B, C) Dominant single leg standing with eye opened. 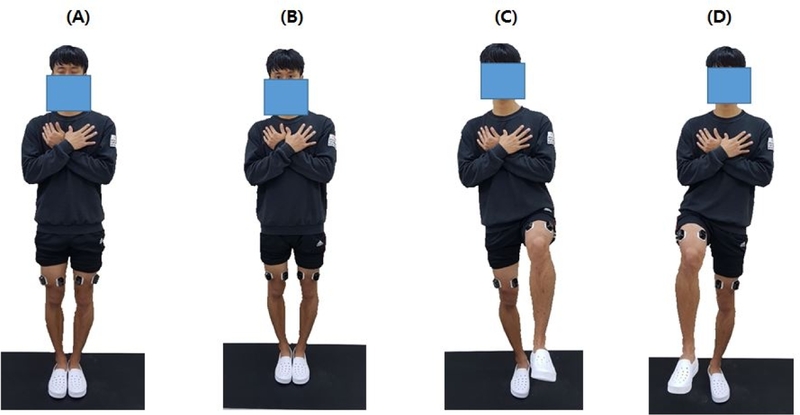 (D) Non-dominant single leg standing with eye opened.